While the discussion about native ads goes on endlessly, Dailyhunt may be the only one mastering it. 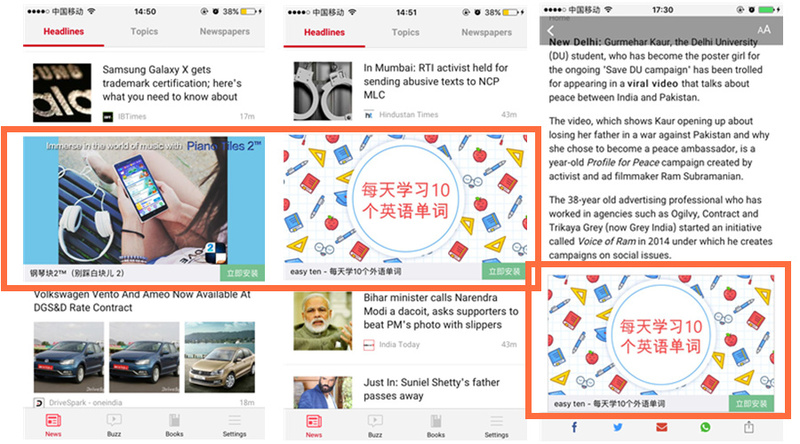 Dailyhunt, the East Indian equivalent of Toutiao, received an additional $19 million investment from Toutiao last month. In last October, Dailyhunt received $25 million in D round financing led by Toutiao. 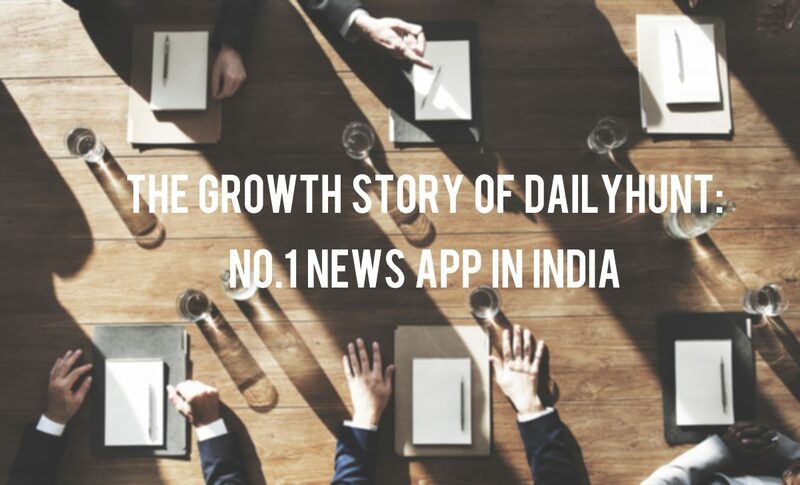 With additional investment from Toutiao within half a year, Dailyhunt enhanced its leadership as No.1 news App in India. The DailyHunt app has recorded 150 million downloads with MAUs up to 30 million. It aims to gain a 6-7% share in the $4 billion Indian digital ad market with MAUs up to 150-200 million. As the largest content aggregator in India, DailyHunt has been doing great in content copyright accumulation and keeps improving and updating its recommendation algorithms. The company once said they will learn from Toutiao’s personalization and machine learning algorithms and expand from text-based contents to audio and video. DailyHunt is a favorable investment for Chinese companies because it takes roots in local markets. Its advantages can be summarized in two words — India and content. Because of the obvious potential, India and Southeast Asia have been a point of interest for Chinese mobile companies. App success in these local markets has long been a hot topic in the industry. Apps in markets overseas have gradually shifted from utility apps to content apps. Even big platforms like Facebook, Baidu, Alibaba and Tencent are focusing on content. 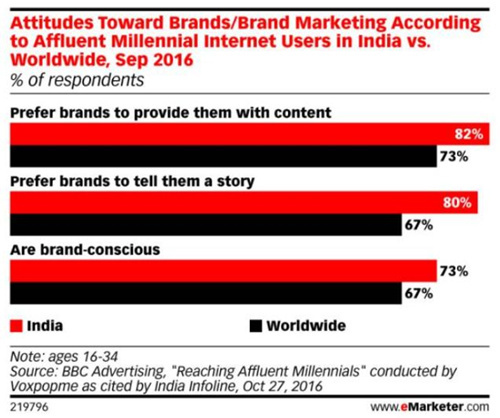 According to eMarketer, millennials worldwide prefer brands that provide contents (73%) or tell stories (67%). Storytelling has become the most important method in brand communication. With statistics like this, do content-based apps have a future? DailyHunt has an answer for this question. 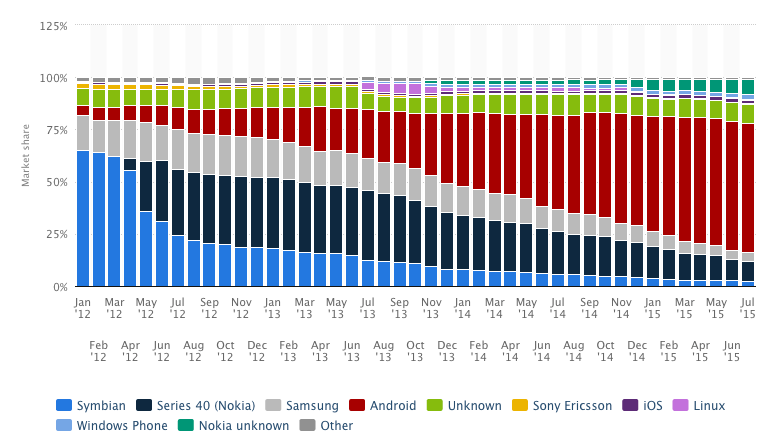 DailyHunt for Android was up backed in 2012 when Nokia was the most popular choice in India. Meanwhile, Symbian system rapidly declined and Android rapidly rose to be the most dominant player. Language is the key for content apps in India. BBC’s survey shows that only 1 out of 10 Indians, or 120 million, speak English. While the Indian constitution confirms 23 languages, SIL Ethnologue recognizes 415 languages still being used in India. 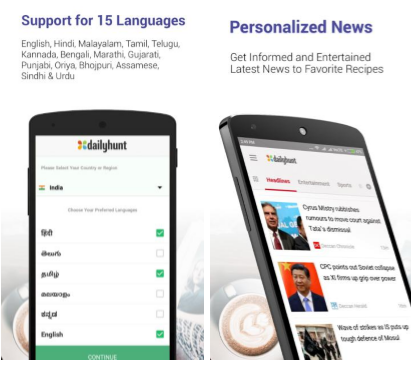 DailyHunt believes early adopters of Android smartphones in India are familiar with English and tech news. It is estimated that the majority of the users in the future will speak local languages and demand mass news. Therefore, they support 15 languages including English, Hindi, Bengali and Tamil, and currently enable fonts that were not natively supported in these mobile systems. Engage and acquire users in their own languages. As users reach a certain level in game-play, sustainable development requires not only financing but also organic growth and self-monetization. 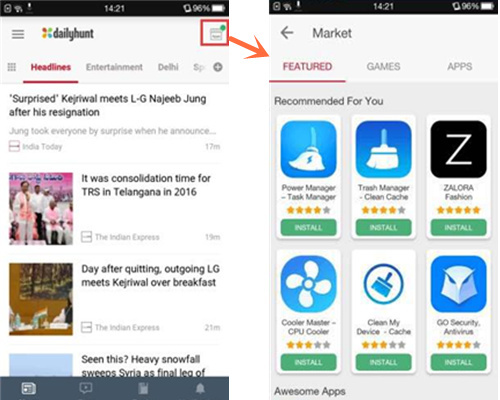 DailyHunt chose two types of native ads for traffic monetization – native feeds and native app wall. 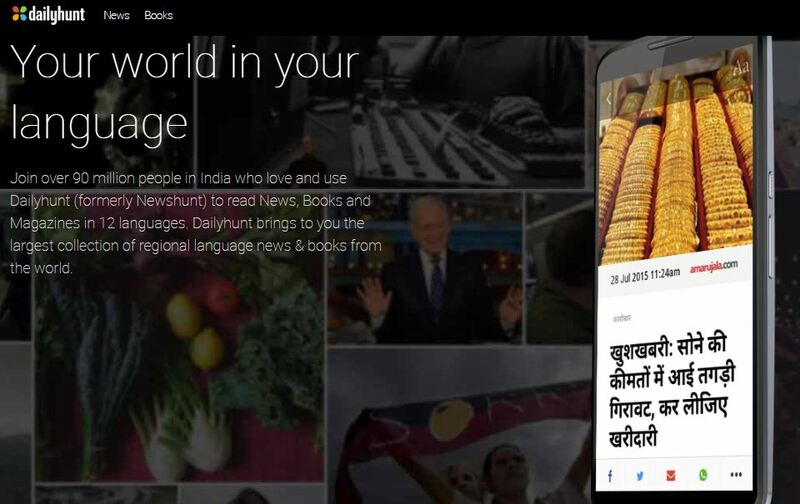 At DailyHunt’s news home page, users can see several ads and never notice they are actually ads. These ads are highly compatible with other content in the layout to ensure the best user experiences. In terms of ad format, these ads are intelligently selected with the help of data and algorithms to ensure users see content they are interested in. This filtration system guarantees accurate distribution, which in turns leads to high eCPM for developers. There are also branded ads in DailyHunt’s news feeds, which is in line with the aforementioned eMarketer analysis. As content get popular, brands naturally want to spend their budget on high quality content platforms. For developers, this is undoubtedly the best choice to increase app influence and revenue. The problem is how to get access to such brand ads. Packaging ad materials in a native format means presenting ads as recommended news. 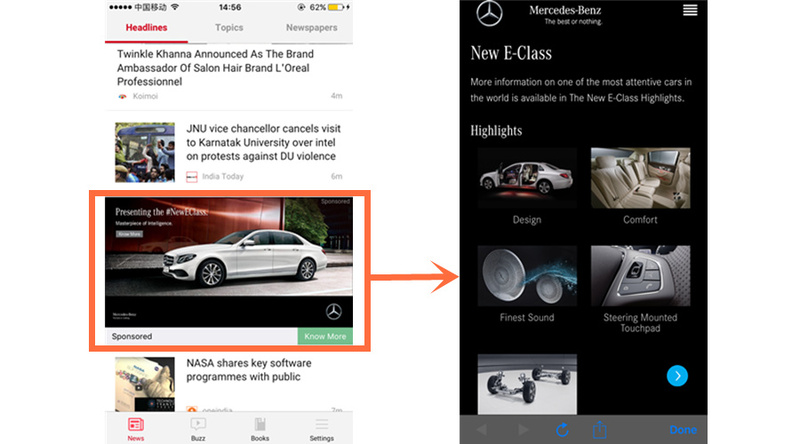 By clicking the news title, users can be directed to the download page in App Store. 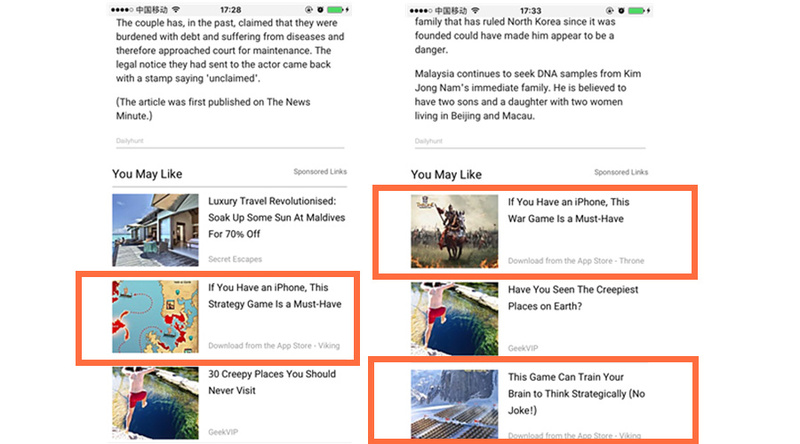 Also prioritizing user experience, this type of ad takes full advantage of ad positioning and helps developers to maximize revenue. On the backend are a set of smart and dynamic algorithms. These self-matching custom algorithms accurately filter resources requested by each ad to improve the accuracy of eCPM estimation and present the best-matching ads at the most appropriate places in the app. In addition, it can also shield competitor’s ads. 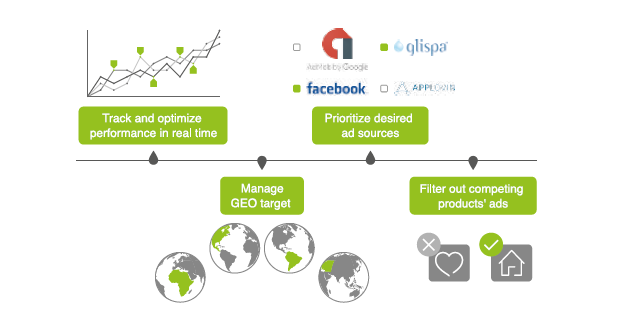 The process includes: 1) the 3TB log data from Mobvista, Game Analytics and NativeX to ensure sufficient statistics and analysis of user data; 2) Enabling best results for location-based ads through targeted user characteristics and factors in log data such as geography and interests. It all begins by connecting to Mintegral, Mobvista’s native and video ad mediation platform. Mintegral is the best monetization solution for developers. It includes top quality international ad sources, customizable native ad formats and intelligent algorithms. Camera360 has seen the same sort of results after using Mintegral. Since their integration with Mintegral in July 2015, revenue grew 1000% in 2016. SHAREit’s revenue also grew 600% from January to the end of 2016.